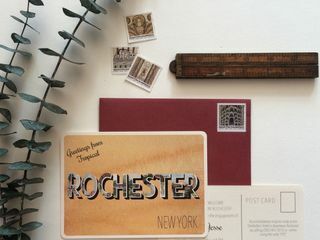 Specializing in artisan wedding and event invitations, our focus is on the people behind the event. We want to work with you to create a stunningly personal expression of who you are as a couple. We love taking the story of "you", learning about its quirks and uniting characteristics, and infusing it into your event invitation. Maybe you met on an airplane, you call each other "lamb", or your trips to the Adirondacks feed your strong bond. We want to imbue your wedding paper with these elements in a timeless and meaningful way. 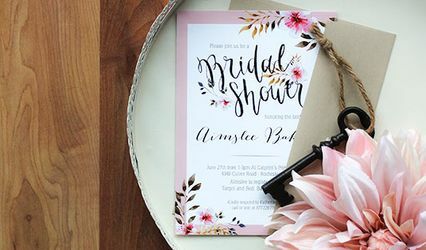 There will be only a few tangible keepsakes from your wedding, and one of them is your invitations, so truly you are investing in a forever piece that captures this moment in your adventure together. Ashley and Andrea of Louelle Design Studio helped create a most memorable suite of paper products for my husband and my big day. 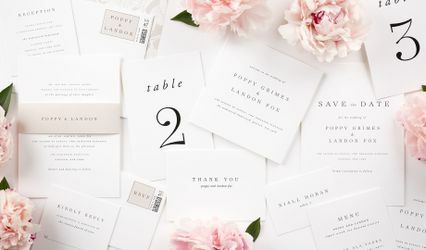 They worked with us from the initial engagement invitations through our wedding invitation suite as well as provided all of our day of paper. They allowed me to customize and help define the ideas for my wedding and helped me stay within the budget I had set out to achieve. They guided me when I was unsure of what I wanted, and I was able to speak with them over the phone and via email regularly because I am located in Los Angeles. They were super accommodating to my hectic schedule and stream of consciousness suggestions throughout the year and a half we worked together. I highly recommend them for the quality of their work, their can do attitude, and their amazing spirits! When We started looking at wedding invitations we werent really sure what we wanted. After meeting with Andrea and Ashley and telling them a little bit about the general look we were going for they came up with the invites of our dreams, beautiful romantic and elegant. Would recommend them time and time again! The girls at Louelle are amazing! 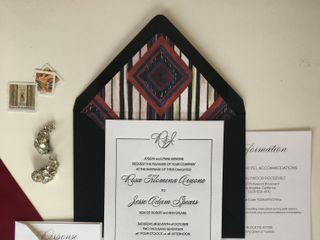 Our invitations were creative, fun and personalized. A perfect fit for our wedding!